At the end of Feburary, I found some ground chicken on sale, and I was excited to make some chili with it. I also had a larger-than-normal (28 oz) can of beans hanging around that I'd been meaning to use but haven't. In the end, I decided to do my own thing and not go with my current chili recipe that used a bunch of different beans. This one ended up looking like a more traditional chili (ground meat and red beans), but I don't think it tasted like one. I used a big tablespoon of garam masala, some dried chilies and a bunch of hot sauce to add to the flavour - it really turned out well, not overly spicy! A note for my fellow food bloggers: I'm trying out a new post and recipe format with help from http://www.therecipewiz.com/. The Recipe Wiz uses Google's new recipe microformat which should eventually connect with Google's new recipe search engine. Please tell me what you think! This chili uses garam masala for a unique sweeter flavour. 1. Soak the dried chilies in hot water for 30-40 minutes, drain, finely chop and set aside.2. Heat oil at medium in a large stockpot. Add ground chicken, and sauté until the meat is no longer red. Use a potato masher to break up any chunks of meat.3. Add dried chilies, garlic, green pepper, and onion. Sauté until the onions are translucent.4. Add chili powder, brown sugar, oregano, cumin, and garam masala. Sauté for 1 minute.5. Add tomato paste, water, hot pepper sauce, tomatoes and kidney beans. Bring to a quick boil and reduce to medium low. Let simmer, stirring frequently for 45-60 minutes. Looks delicious, we love chili! Never had Garam Masala but I bet it gives it a nice flavor. Thanks a lot for sharing this.My children loves chili con carne and usually I would use beef. Yours really looks good and its chicken..I love it. I love chili con carne and can't wait to try it with chicken. Great recipe! This looks awesome - I love the chicken and garam masala! 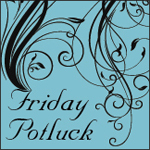 Thanks for linking to Friday Potluck!